Realtor.com calls today’s more stringent lending standards “the biggest change on the housing scene over the past decade.” The Dodd-Frank Act was passed in response to lax standards that led to “borrowing beyond repayable amounts and atypical mortgage products, which pushed up home prices without the backing of income and equity” and helped cause the market crash. As a result, median FICO scores for home loans have risen from 700 in 2006 to 734 today, with the bottom 10 percent of borrowers up from 602 a decade ago to 649 now. The under-regulated environment of a decade ago and speculators looking to make a quick buck on house flips also contributed to the downturn. Ten years ago, flips accounted for nearly nine percent of all home sales nationally, and reached a much more potent saturation level in cities like Washington, DC, and Chicago, where they were up around 20 percent. While flipping is hot again, buyers today are not typically taking out multiple sketchy loans that leave them with little or no skin in the game, which means they’re not creating combustible conditions that can negatively impact the market. The median home sales price across the country last year was two percent above 2006 numbers, at $236,000, and “31 of the 50 largest U.S. metros are back to pre-recession price levels,” said realtor.com. The highest appreciation nationally in that time period: Austin, at an incredible 63 percent. Growth in the city is indicative of larger Texas real estate trends and has been, in part, due to migration “from far more expensive areas such as California;” it has also led to a “building boom in the suburbs, where young families are moving in search of more space and better schools.” That has been especially prevalent in the Texas Hill Country and cities like New Braunfels. Well within easy commuting distance to Austin and San Antonio and marked by beautiful topography, views that have been compared to Tuscany, a warm and welcoming environment, a bustling economy and job market of its own, and attractive real estate offerings, New Braunfels has become ground zero for Texas real estate buyers. New Braunfels is one of the fastest-growing cities in the nation with projections of 115 percent population growth in the county over the next 30 years. “The employment expansion forecast is expected to be even greater than that at 127 percent over the same timeframe,” said the New Braunfels Herald-Zeitung. That makes Comal County one of the fastest-growing counties in the nation. Located in New Braunfels, Vintage Oaks from SouthStar Communities is the fastest-growing community in the San Antonio MSA for four years running. This 3,300-acre masterplan offers a variety of land ranging from 1–14 acres in gated and non-gated neighborhoods as well as custom, semi-custom, and builder homes for sale. 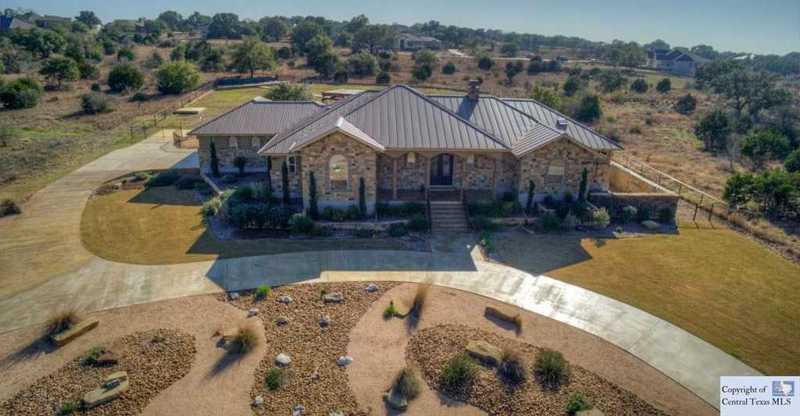 Resort-style amenities include multiple pools, playgrounds, a lazy river, miles of meandering trails, sport courts, and a Tuscan Clubhouse, as well as beautiful Hill Country views. Also in New Braunfels, SouthStar Communities presents The Crossings, a 288-acre masterplanned community featuring two new single-family neighborhoods from Lennar. Sixteen modern floorplans offer spacious gathering areas and upscale features, as well as family-friendly amenities including a swimming pool, grassy play areas, and walking trails. The Crossings is in an ideal location with easy access to I35 but within a private setting offering serene Hill Country views. For more information about SouthStar Communities or Texas real estate, visit the website. You can also learn more about SouthStar Communities at the link below.